Harter Investments, LOCAL Cash Home Buyers in Omaha, Nebraska. Sell My Home Fast in Omaha. When thinking about selling your Omaha, Nebraska house, you need to know that you have options! Listing your home on the multiple listing service with a real estate agent in Omaha, Nebraska is not the only way to sell your house. More and more people are learning how to sell their home’s without an agent, which in turn, saves time and money! Are you thinking you want to “sell my house fast in Omaha, Nebraska“? Learn more about it works in our latest blog! What are the benefits of listing without an agent? There are numerous benefits to eliminating the middle man when selling your house in Omaha, NE. One of the biggest benefits is saving money by not having to pay a real estate agent commission, additional closing costs, costs associated with getting a house ready to sell and holding costs while your house is on the market are just a few costs that can save you thousands of dollars. As you can see commissions and other out of pocket expenses add up very quickly when you go to list your home. To be able to offer a competitive property, you will most likely need to make some repairs and upgrades to the home. If you have ever done a home repair project yourself, you will know that there are typically unforeseen costs and multiple trips to Home Depot. If you hire a pro, your costs will be significantly higher. Only take on projects you know you are capable of. This isn’t the time to start practicing your new wall texturing methods. You really want to make sure all minor and major repairs are made before putting your house on the market. By making the repairs you will bypass any contract negotiations for repairs at the time a buyer presents a purchase agreement to buy your house. When you don’t use a realtor, you don’t have to pay anyone a real estate commission. A direct sale between two private parties will allow you to keep money in your pocket! When your house sells you can expect to pay about 7% of your final sale price is commissions to the real estate agents. This can be thousands of dollars! Also, when you work with a real estate agent in Omaha, Lincoln or Council Bluffs, you will typically be bound by a listing agreement, giving them the exclusive right to sell. This means, no matter how you sell the home (even if you find the buyer yourself) you will still owe a commission to your real estate agent. Set your price, but do your homework first. People often think their homes are worth more than they actually are. You need to take all the emotion out of your decision, the potential buyers did not raise their children in your house or celebrate holidays and have no connection to your house. Also, don’t count on Zillow or other sites to give you your home value. Most realtors never go by these numbers as they often become skewed by false data. Research is key when determining the value of your home. Look at what houses in your area are selling for. Not what they are listed at, but what the final sales prices are. You can ask a realtor to help with a CMA, get information without signing a listing agreement. Look at apples to apples, square feet, number of bedrooms, number of bathrooms, garage or no garage. Location is a key, is it in the same neighborhood, if not neighborhood same area. Look at sales within the last 30 days if possible. If you try to set your price high and aren’t seeing any interest, you can always lower it. However, prospective buyers will be able to see your pricing history on the MLS and sites like Zillow and Trulia. Repeated, small drops can make you look desperate as a seller, or it could signal that something is wrong with the home. Try to set a fair and well-thought-out price from the get-go, and you won’t have to deal with lowering it or not having interest. You can always seek the opinion of a professional appraiser. This will typically cost a few hundred dollars. Another thought process is to price your home below other homes of the same market value to create a feeling of excitement of a good deal. Sometimes this creates competition where the seller receives multiple offers resulting in a higher purchase price. Pictures say a thousand words! It is highly recommended to incur the additional expense of a professional photographer and videographer. 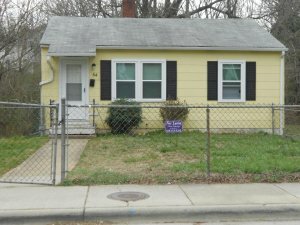 Time and time again, you see real estate listings with poor imagery. If you want to sell your house using online advertising, you need to have great pictures and in today’s age of marketing video as well as drone video footage will become the norm soon. If your pictures don’t look professional, hire a pro! This might be one of the best things you do when selling your home. In addition to great pictures, you need to make sure the text gives as much detail about the property as possible. Let people know exactly what they are getting, and make sure to highlight on every amenity the house offers. Be sure to be mindful of Protected Classes in all of your advertising. You will want to prepare your house before listing in Omaha. Clean like you have never cleaned before and make any noticeable repairs needed. Get a head start on packing by removing all clutter and personal items. People don’t like to feel as if they are intruding when they enter your home. You may want to consider renting a storage unit to store all of your clutter that can detract from the showing of your house. You want to make all spaces presentable and inviting. The first impression a potential buyer has is extremely important. You can potentially lose a sale on a first impression. With that said, the minor things make a difference. Decluttering your house and storing in a rental unit, hiring a professional photographer and videographer, having your home professionally deep cleaned and cleaning up your yard are a few things that need to be done before listing your house on the market. Make a list of selling points/upgrades to showcase your home to prospective buyers. If the HVAC was replaced last year, and the roof the year before that, be sure to let them know. Hand out a professionally done flyer or brochure with this information, as well as your contact info. You will also want to be a “concierge” to prospective buyers. An agent can usually answer questions about the area, and you should be able to too. Make a map with important places marked. Know where schools are and how long commutes take. Remember first impressions can make or break your sale, make your home inviting so when a potential buyer enters your home they can imagine their family sitting a the dining room table enjoying Thanksgiving together or waking up Christmas morning in your house with the family sitting around the Christmas tree opening gifts. Create a contract and accept only WRITTEN offers that include a deposit that will be put in escrow. You should consult with an attorney and accept the offer only on their approval. Without an agent, you will need to handle all legal and financial paperwork. It is best and recommended to work with a lawyer, and a title company you know and trust! Selling your house can be a good experience if you spend the time to do a little research, spending time implementing the steps above and consulting an attorney before you start the process. One other way to sell your house fast in Omaha for cash and NO expenses is through a local cash home buyer. The advantages of selling through a local home buyer are they pay cash, can close on your terms and best of all you will have no closing costs or the additional frustration of decluttering, cleaning, keeping your house clean for showings and you do not have to make any repairs. A local home buyer like Harter Investments will buy your house as is, with no contingencies and pay cash. You decide the closing date and walk away with a check in your hand. You don’t even need to take the trash out. We can do that also. If you have additional questions contact us at your convenience.